While his friend watched, she says, a teenage Kavanaugh pinned her to a bed on her back and groped her over her clothes. 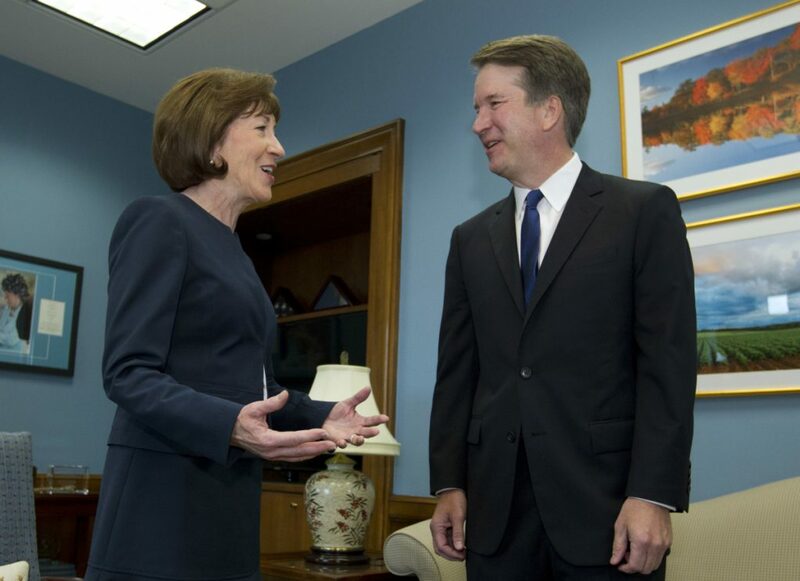 Maine Sen. Susan Collins, a pro-abortion rights Republican, has remained undecided on whether she would vote to confirm Kavanaugh, while Maine Sen. Angus King, an independent who caucuses with the Democrats, announced last week that he opposes the nominee. Her office did not respond to requests for comment Friday and again on Sunday. Collins told a CNN producer Sunday at the Ronald Reagan Washington National Airport that she was “very surprised” at the accusation against Kavenaugh, and she referred to an hourlong conversation she had with him on Friday, according to a tweet by Manu Raju, a CNN congressional correspondent. “It’s an issue that I brought up with him last Friday and he denied,” Collins told CNN. On Friday, Ford had yet to be named in a story or be interviewed, but the contents of a letter outlining the incident became public. When asked if the vote should be delayed, Collins said she would be “talking with my colleagues” and declined to comment further. Collins and Sen. Lisa Murkowski, a pro-abortion rights Republican from Alaska, have been targeted by progressives as possible “no” votes on Kavanaugh, although Collins has also made many positive remarks about the nominee. Associated Press writer Zeke Miller and Portland Press Herald staff writer Joe Lawlor contributed to this report.